Apples, pumpkins, pie, oh my! When you think of fall, what comes to mind? For me, it’s food. The warmth and comfort of delicious food is always better when you make it yourself. 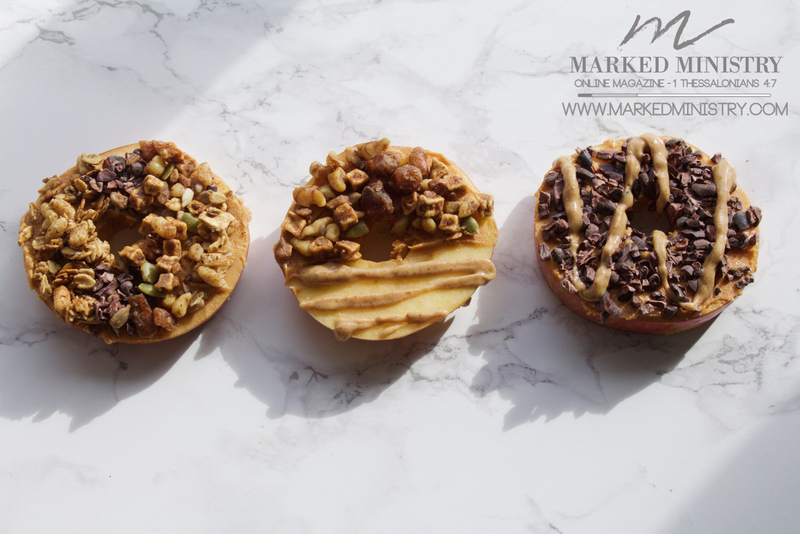 In today’s post, I’m going to share how to make two apple/fall related recipes: apple donuts and apple pie oatmeal. The best part –– they all taste amazing and are as healthy as health food gets! Each recipe is gluten free, refined sugar free, soy free, dairy free, and corn free. Why apple based recipes, you ask? Because apples grow in the fall season, meaning they’re best to eat during this time of year. I recommend going to your local farmers market to buy apples. They’re locally grown and better for the environment, local businesses, your health, and your wallet! They also tend to have more organic or sustainably farmed options at farmers markets. Apples have been found to contain over 45 different pesticides, which are toxic for your body. They’re also on the “Dirty Dozen” list of produce to buy organic. Apples have been around for millions of years and we’re lucky to have all the health benefits they come with. Apples are lower in sugar than most fruits and can help balance blood sugar levels. If you have hypoglycemia, eating an apple as opposed to drinking apple juice will ensure less sugar in your diet. Odds are you’ve heard the saying, “An apple a day keeps the doctors away.” This phrase is unbelievably accurate. Apples have been scientifically known to improve eyesight, brain function, fertility in women, and cardiovascular health. They also are a great source of quick energy for a pre-workout snack! Apples reactivate the good gut bacteria and strengthen immunity. Gut bacteria sounds super gross but the gut is where about 70 percent of your immune system is located. Taking care of your gut means taking care of your whole body! 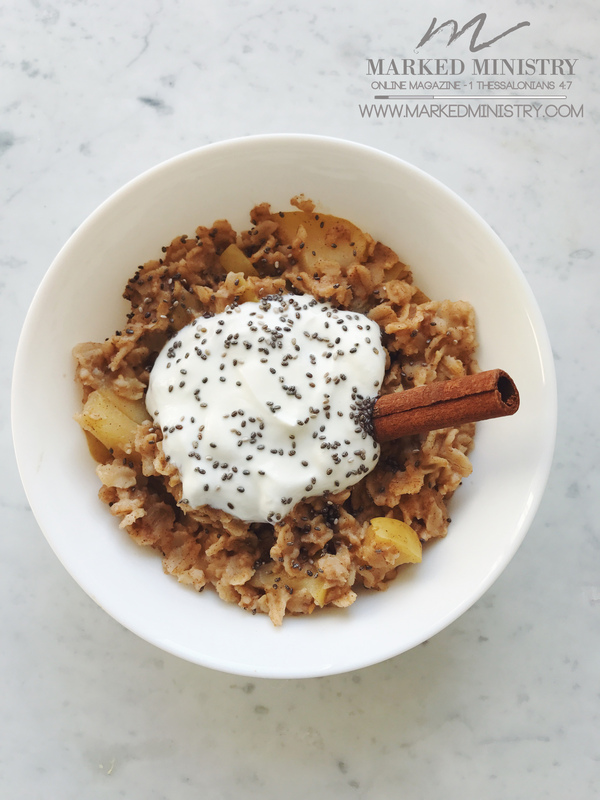 Pierce a piece of the apple with a fork and if it is soft, your oats are ready! I decided to top mine with chia seeds, cinnamon, and yogurt. If you want this to be dairy free, I recommend using coconut yogurt! Slice apple diagonally and then get a knife and create a circle where the seeds/core of apple is. 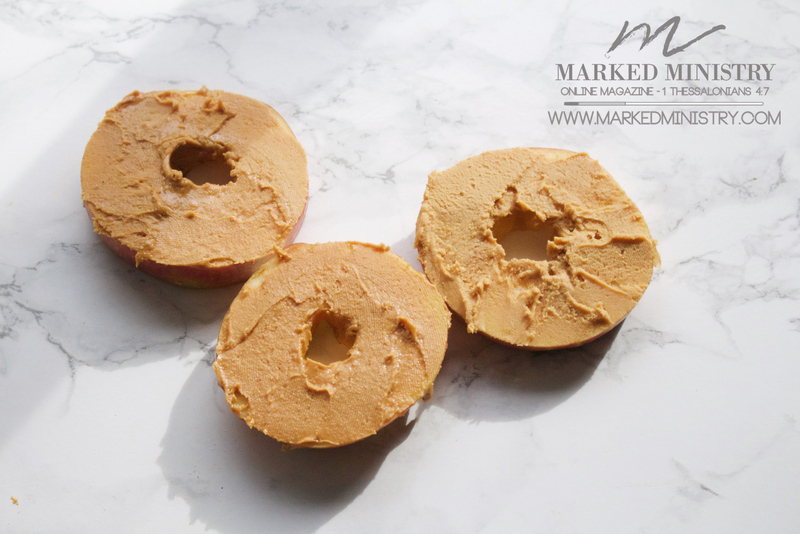 Make the hole similar to a donut hole: in the center of the circular apple slice and not too big! Top with granola and you’re done! My favorite combination is cashew butter with paleo vanilla espresso granola.